It wasn't light enough to shoot my bathing beauties through the glass door but I think their personalities come through. I realize assigning personalities to animals is debatable but I do it anyway. 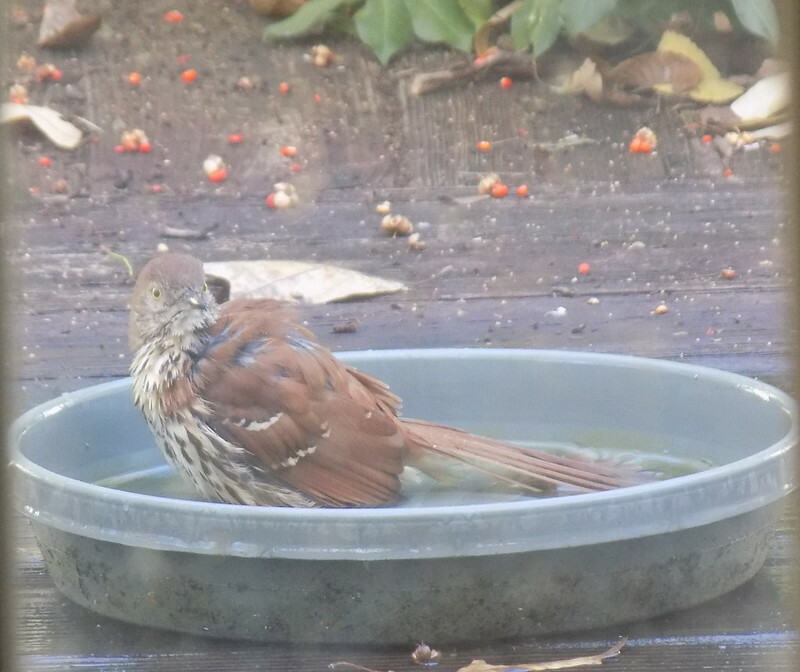 The first two shots are of a brown thrasher. 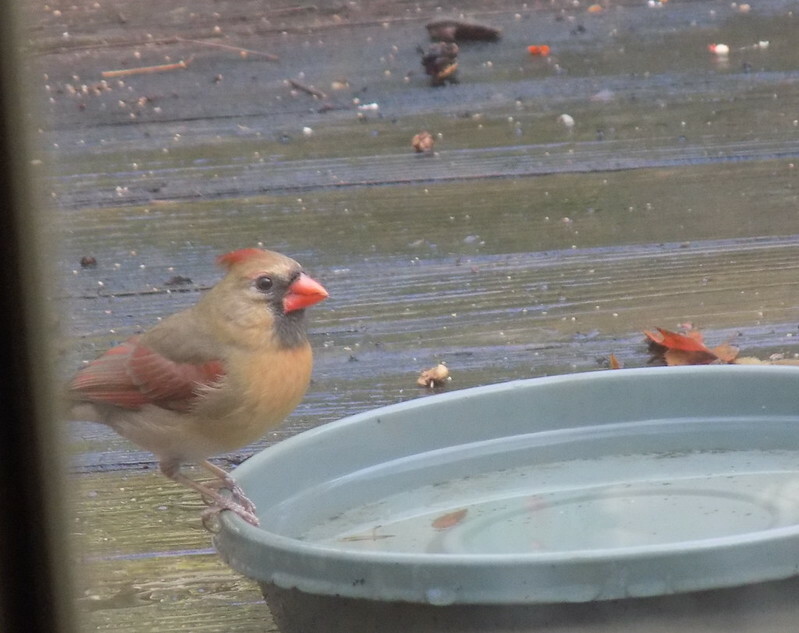 The female cardinal above and the sparrow below appeared calm, cool and collected. 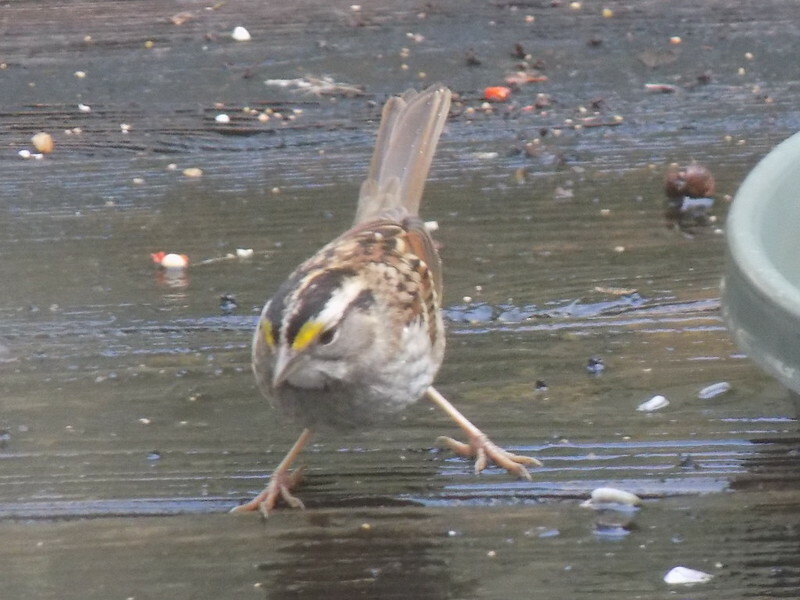 Then the sparrow looked like it was skating. 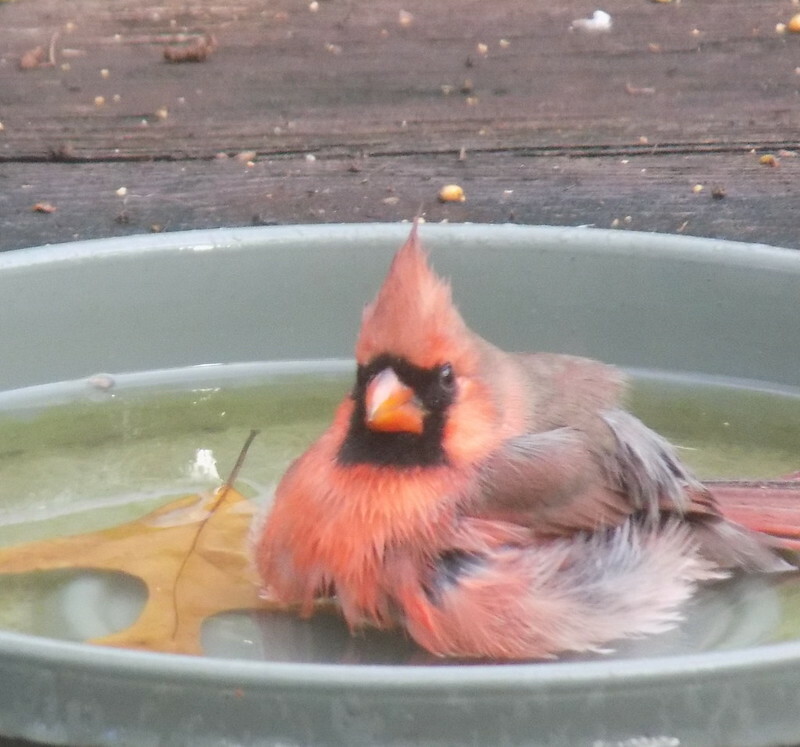 The male cardinal was all puffed out in the bath. I had a chipmunk getting water on my deck but didn't manage to get the shot. The carolina wrens were too fast for me to shoot. 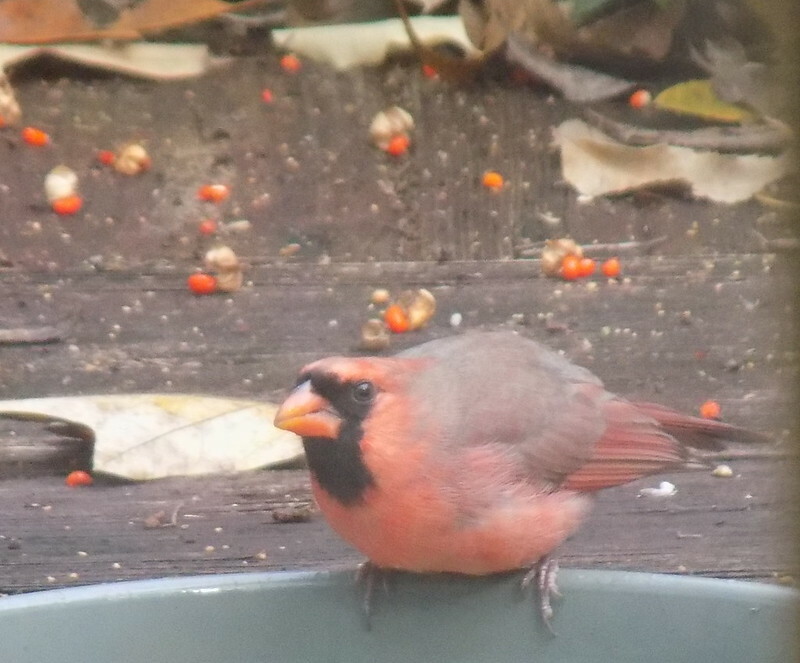 I can almost always photograph cardinals on my deck because there are so many of them. I think birds are hard to shoot as they are always moving but these are pretty good. 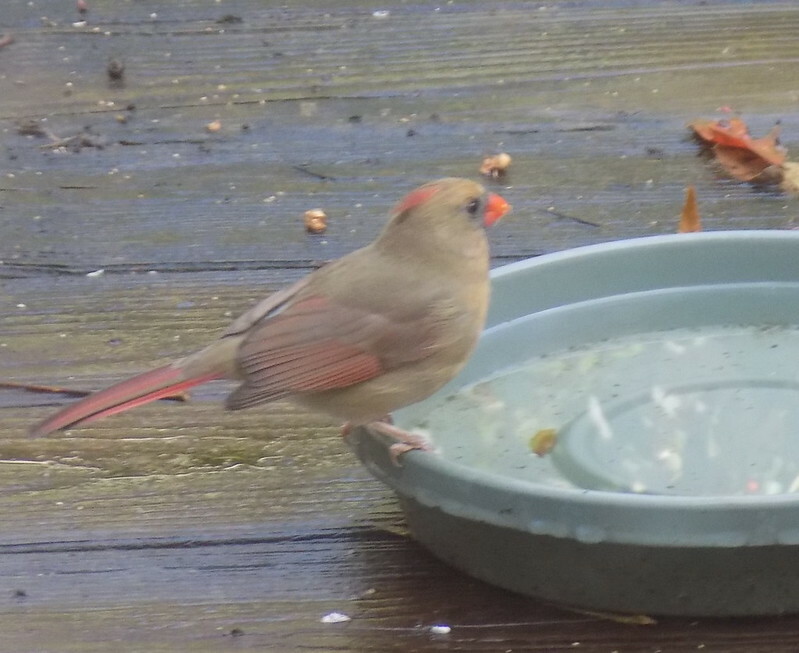 You are so lucky to have so many cardinals --. And your birds definitely have personalities. I don't care what anybody says!!! 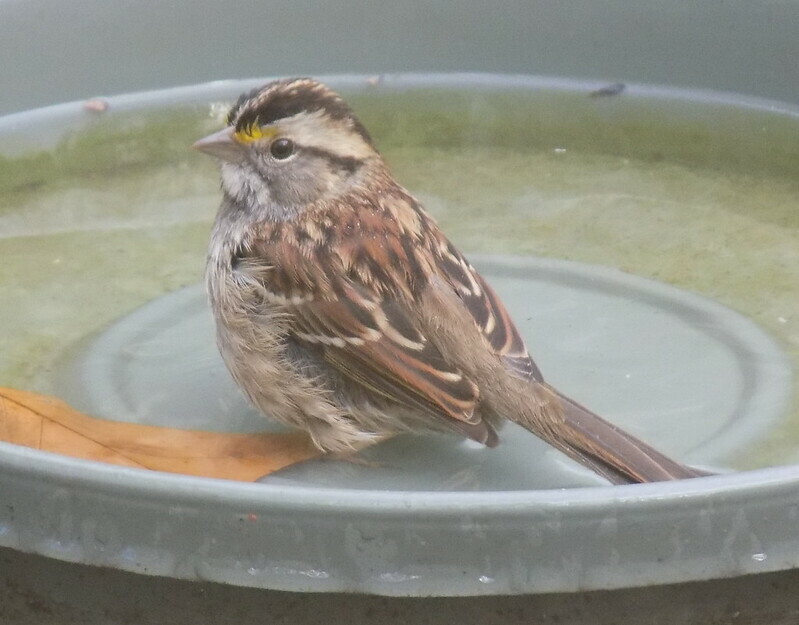 I love your bird photos - they have lots of personality and it shows in your pics! That fluffed up cardinal looks very regal and content. 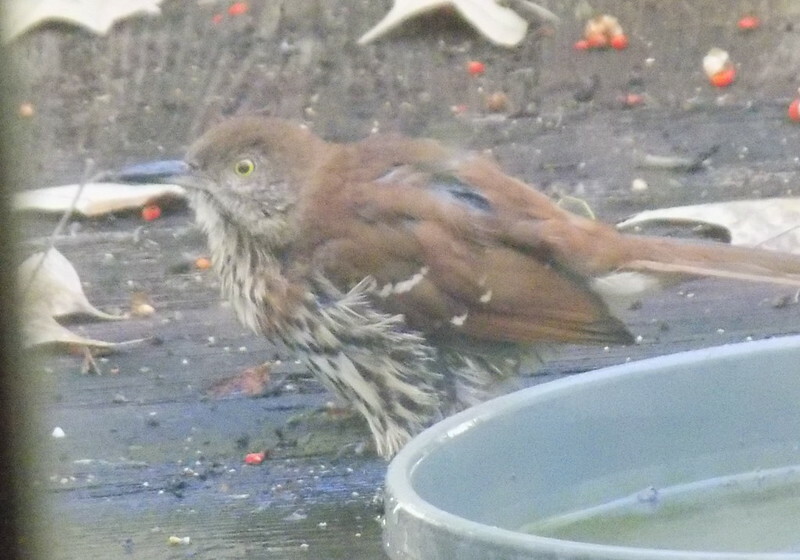 You are really lucky to have these beautiful visitors! Wish you a Fantastic 2016!